The young Chinese violinist Ziyu He (* 1999) has attracted international attention within the shortest time and was invited in April 2017 as one of the youngest ever soloists for his debut with the Vienna Philharmonic in the Vienna Musikverein. 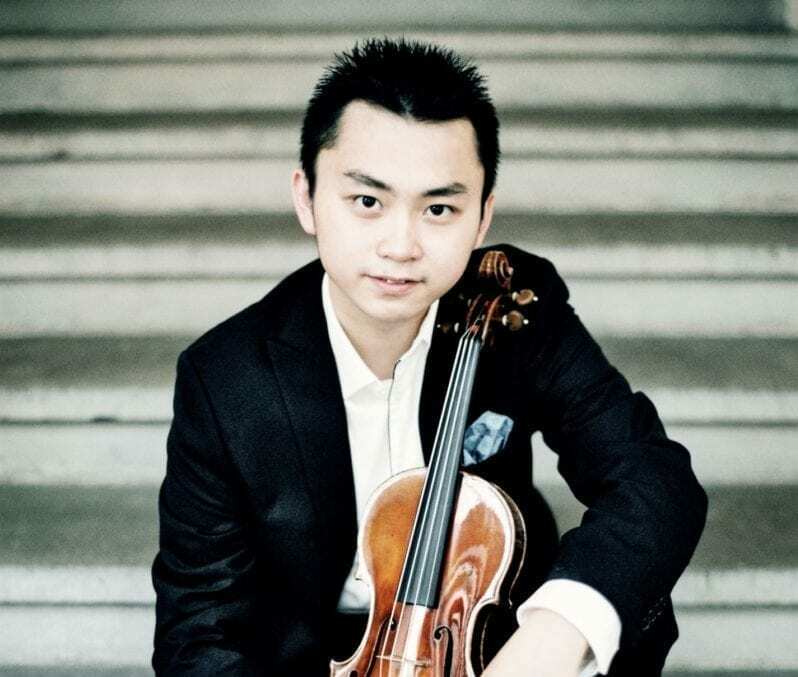 In 2014 Ziyu won the Eurovision Young Musicians Competition representing the country of Austria; he also won the Mozart Competition in Zhuhai in 2015 and the International Instrumental Competition in Markneukirchen. In 2016 he became the first prizewinner at the International Mozart Competition in Salzburg as well as of the prestigious Yehudi Menuhin competition in London. Other internatinoal prizes he received in Augsburg, Weimar. Salzburg and received as well the Szymon Goldberg Award. His young concert career already took him to perform in Germany, Austria, England, Sweden, Italy, France,Hungary,Georgia,Spain,Iceland, Israel, Russia, China, Singapore and the United States. As a soloist he has performed with the Vienna Philharmonic orchestra, Vienna Chamber Orchestra, Mariinsky Orchestra st.Petersburg, Bochum Symphony Orchestra, National Georgian Orchestra, Macau Orchestra, Salzburg Chamber Soloists, RAI Orchestra, China Philharmonic Orchestra, Shanghai Philharmonic Orchestra, Beijing Symphony Orchestra, Symphony Orchestra of the Mozarteum University, and the Filarmonica del Teatro Comunale di Bologna, among others. He has performed with renowned conductors such as Adam Fischer, Christopher Warren-Green, Diego Matheuz, Hans Graf, Kriistina Poska, Steven Sloane, Nikoloz Rachveli, Lü Jia, Pietari Inkinen, Kazuki Yamada, Shizuo Kuwahara and Valery Gergiev. In 2017 he played performances at the Violin Festival in Singapore, at the Summer Festival in Gstaad and since 2017 he is giving regular solo and chamber music concerts at the Konzerthaus Wien as part of their ‘Great Tlents’ series. Ziyu He began playing the violin under the guidance of Xiangrong Zhang at the age of five. In 2010, Prof. Paul Roczek became aware of his extraordinary talent when meeting in Beijing and invited him to study violin with Roczek and viola with Thomas Riebl at the Mozarteum University in Salzburg. In addition to his studies in Salzburg he attended masterclasses with Ivry Gitlis, Ani Schnarch, Shmuel Ashkenasi, Vadim Gluzman, Chaim Taub and Petru Munteanu. The 18-19 season sees him debut with Orchestra della Toscana, Zagreb Philharmonic, Singapore Symphony and the Wiener Kammerorchester with whom will play Mozart’s Sinfonia Concertante with Joji Hattori. Ziyu He plays the „ex Grumiaux“ violin by Jean-Baptiste Vuillaume, made in 1855.